The Samsung Unpacked event at the MWC 2015 is all about the next generation of Galaxy smartphones - the Galaxy S6 and the Galaxy S6 edge. Samsung seems to be pleased with the limited edition Galaxy Note Edge market success and will be keeping the "edged" devices around. 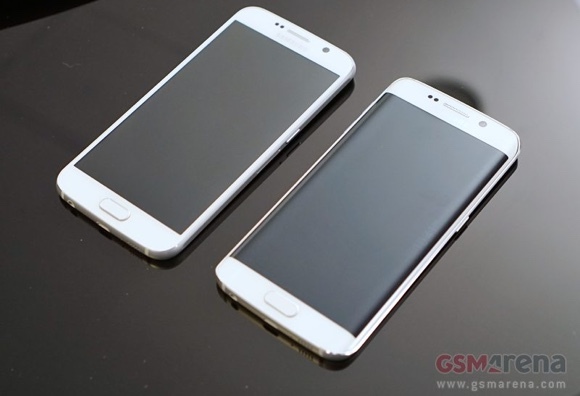 Samsung Galaxy S6 duo have been in the rumor mill for quite some time and we already knew pretty much everything there is to know. The devices are now official and we can clear up every tiny detail. The new Galaxy S6 series is a departure from the previous series, switching from an all-plastic shell to a dual-glass design enhanced with a metal frame. The new combination of materials works great indeed and the Galaxy S6 and Galaxy S6 edge are arguably, the most beautiful Galaxy smartphones to date. We’re sure, many will forgive the camera hump on the back for sure. This time around the Galaxy S6 isn't dust and water proof though. Samsung Pay relies on NFC and Magnetic Secure Transmission (MST) for mobile payments. It has already been certified by Visa, MasterCard, and Samsung is employing key partners worldwide to participate in the service, including American Express, Bank of America, Citi, JPMorgan Chase, and U.S. Bank. Unlike the Galaxy Note Edge, the Samsung Galaxy S6 edge has the display glass bent on both sides of the phone. While the curve isn't as impressive as on the Note Edge, being bent on both sides makes it feel like an entirely different device. The 5.1" Super AMOLED display also utilizes at Quad HD resolution of 2,560 x 1,440 pixels. It is protected by a curved Corning Gorilla Glass 4, too. The rumors turned right and Samsung chose not to opt for the Snapdragon 810 chip, probably due to the overhearing issues. So, the Galaxy S6 and S6 Edge are powered by the company's Exynos 7420, built on a 14nm process and thus more energy-efficient and producing less heat compared to 20nm Snapdragon 810. The Exynos 7420 chip offers much similar processor to the Snapdragon 810 - an octa-core 64-bit CPU with four Cortex-A57 cores ticking at 2.1GHz and four Cortex-A53 clocked at 1.5GHz. The Exynos 7420 chip uses a Mali-T760 GPU and comes bundled with 3GB LPDDR4 of RAM. The new generation of RAM has already premiered on the LG G Flex2 and we expect the 2015 flagships to feature LPDDR4 RAM chips. The front camera is 5MP, capable of 1080p video capturing. 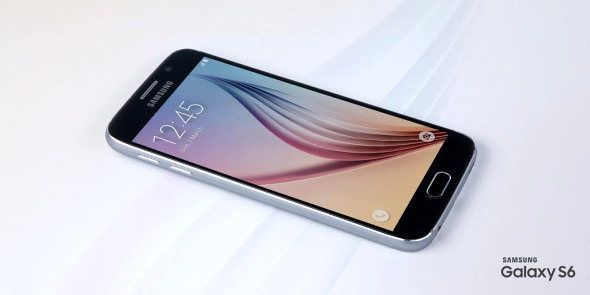 The new Galaxy S6 and Galaxy S6 edge feature 32GB / 64GB / 128GB storage, non-expandable though. The storage is of the new UFS 2.0 variety, which uses "Command Queue" tech used in SSDs for accelerating the speed of command execution. The end-result is 19,000 input/output operations (IOPS) per second for random reading – that’s 2.7x faster than the performance of the eMMC 5.0 memory found in the previous crop of flagships. The all-round connectivity package includes LTE Cat.6, Wi-Fi ac, Bluetooth 4.1, NFC, GPS with GLONASS and Beidou, IR blaster and FM radio. The Galaxy S6 is powered by a 2,550 mAh battery, while the Galaxy S6 egde has a 2,600 mAh unit. Finally, the Galaxy S6 and Galaxy S6 edge run on Android 5.0 Lollipop enhanced with the latest TouchWiz UI with Material design and cleaner interface. The TouchWiz on the Galaxy S6 Edge offers various features and apps working on the edges of the display, including a newer and better version of the Quick Glance info for the lockscreen. This time around Samsung has partnered with Microsoft, instead of Dropbox, and will be offering 115GB OneDrive storage for 2 years to each Galaxy S6 user. Samsung Galaxy S6 and Galaxy S6 edge will launch on April 10 in 20 markets, followed soon by even more countries in May. 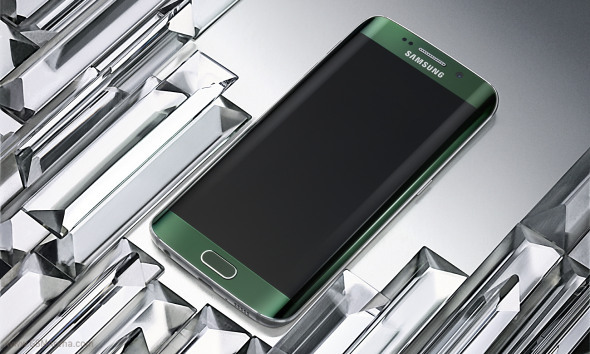 The Galaxy S6 will be available in White Pearl, Black Sapphire, Gold Platinum, Blue Topaz, while you will be abe to get the Galaxy S6 edge in White Pearl, Black Sapphire, Gold Platinum, Green Emerald. The pricing is yet to be detailed. Meanwhile you may want to check our detail hands-on articles on the Samsung Galaxy S6 and Galaxy S6 edge right here.